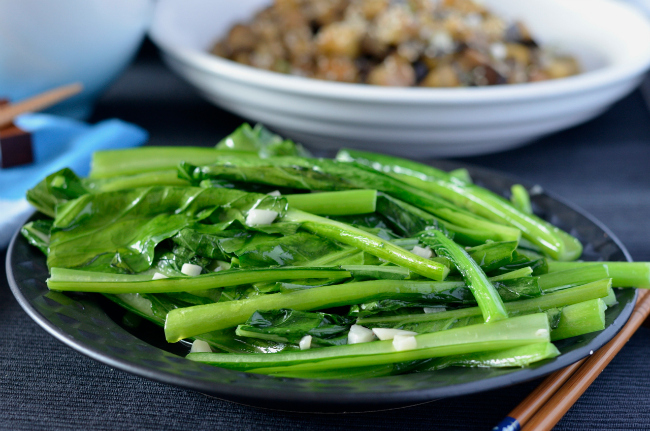 The recipe for these garlic asian greens is probably the simplest I have ever shared here on I Spy Plum Pie, but they are mighty delicious. 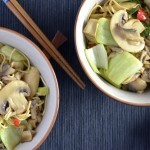 I whip them up all the time as a side dish to go with rice and something like grilled tofu, steamed dumplings or the recipe I shared last week, miso eggplant. 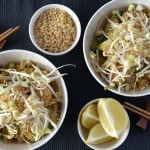 They take no time at all to whip up and are a tasty way to up your leafy green vegetable uptake. As the name suggests, they are heavy on the garlic, so maybe don’t wolf down a pile of these before heading out on a date, but other than that you should be good to go! 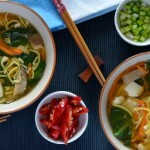 You can use all kinds of Asian greens in this, I tend to gravitate towards choi sum or chinese broccoli (aka kai lan), but bok choi and the like all work really well too. That’s one of my favourite things about this recipe! These kinds of veggies don’t tend to last long in the fridge, so make sure you’re buying them fresh for the best flavour and to ensure they don’t lose their crispness. So garlicky, so delicious and on the table in absolutely no time at all. Is there anything better from a side dish!? 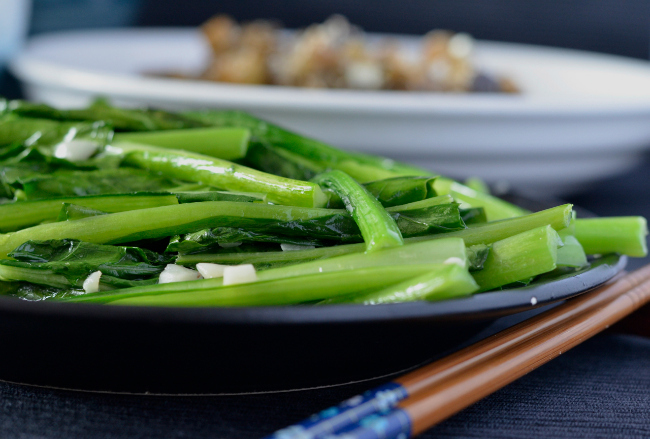 Are you a fan of garlic Asian greens? 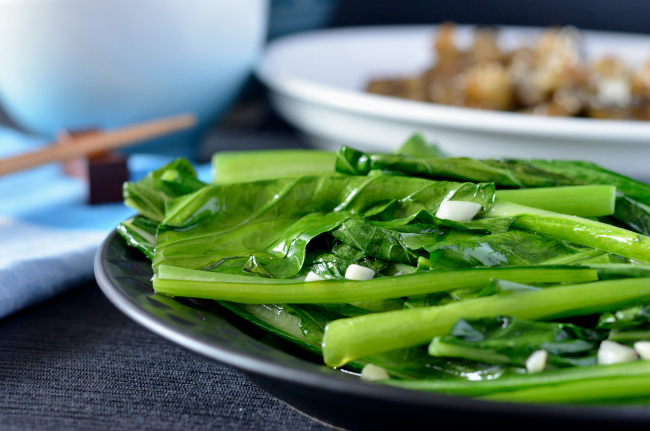 Do you have a favourite leafy green to use? one word! … delicious! … thanks liz! I love any leafy greens like that! Leafy greens are such a great addition to any meal in my books! What a fantastic side dish, Liz! I’ve pinned these to make later. 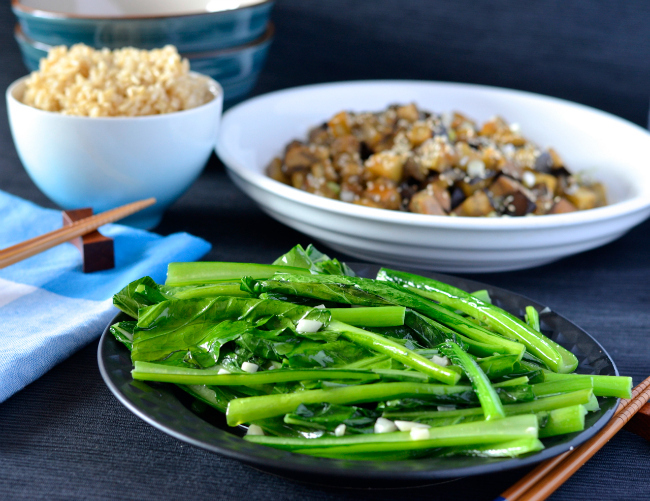 I absolutely love Asian greens with soy sauce and garlic, and yours look so fresh and vibrant, not wilted and dead as they can sometimes be at restaurants! Thanks Lisa, I hope you love them when you make them!